Group Affiliation: StormWatch PHD New York. Base Of Operations: 18th precinct station house in New York City. During most of this era, Lauren has lost most of her superhuman powers. However, she remains superhumanly resistant to temperature extremes, including many fire and cold attacks. To compensate, Pennington has stepped up her training in the martial arts, unarmed combat and general operative skills. After regaining her powers, Fahrenheit made better progress in mastering them than ever before. For instance she learned to create superheated smoke rather than flame (in DC Heroes RPG terms, Chemical attack) to deal with an opponent immune to open flames. During a fight with Lord Defile, Lady Decadence and their mercenaries and servants, Fahrenheit was engaged by the Cooler.The Cooler is a psychotic supervillain with ice powers and a mad-on for her. The two fell from 20 stories high. Fahrenheit slowed their fall with updrafts, so both survived. However, she landed on her head and stayed in a coma for three weeks. The brain damage was slight, but made her unable to access her more active superhuman powers. No longer a living, flying flamethrower, Fahrenheit was discharged from StormWatch. The battle on First Avenue against Defile and his accomplices and minions had been a catastrophe. It was one of the worst massacres in the history of New York, leaving hundreds dead. Soon after, a clash with Deathtrap left Blademaster and at least four Stormforce soldiers dead. StormWatch came under heavy political fire and its budget was badly cut. In the meanwhile, Fahrenheit discovered she was shunned by other posthumans since she no longer had powers. Her relationship with Hellstrike also ended at that point. Hellstrike, behaving oddly after having been dead for a while, cheated on her with an version of Fahrenheit from a parallel universe. Battalion continued to head StormWatch, but he needed to seriously pare operations down. None of the old approaches could fit the new budget, so he went for something new. Battalion assembled a small team of non-powered experts in New York City. Their task was to research inexpensive means to neutralize posthuman, alien, magical, etc. threats. Dino Manolis, a technology expert formerly known as the Machinist. 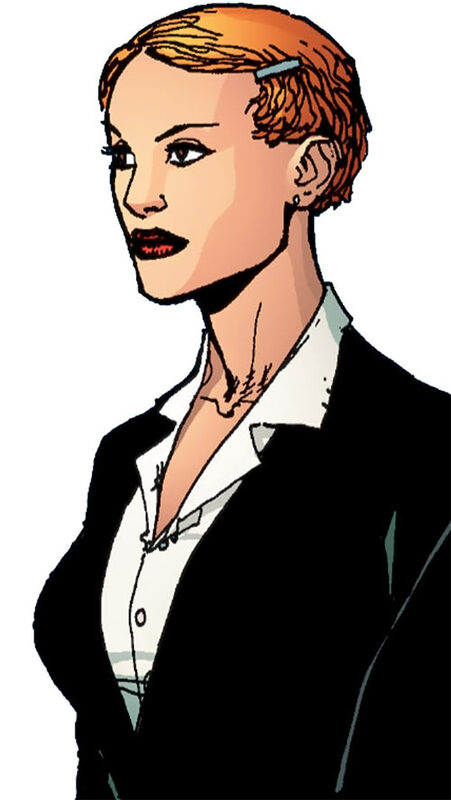 Gorgeous, a psychologist and moll for supervillains. Professor Elizabeth Rowan aka Black Betty, a supernatural expert. Doctor Mordecai Shaw, a forensics expert and human-Daemonite hybrid whose hated alien form is called the Monstrosity. Liam Mendoza aka Paris, a Stormforce soldier. Officer Doran from the NYPD, the tactical leader. StormWatch Prime continued to operate as a superhuman strike force, though the assets on the SkyWatch satellite had to be toned down. The new team was called StormWatch Post Human Division. The new team was generally successful. Though they did not attain any big triumph, the techniques they were developing proved effective at repulsing several minor superhuman threats. They even managed to arrest some C-listers. Predictably, Lauren made a pass at and slept with Paris, the most attractive single man on the team. This almost immediately proved a mistake, however. In a moment of intimacy Paris told her about his monstrous childhood. Lauren immediately ended their relationship, which led to a awkward atmosphere within the team. Their NYPD liaison and handler, Officer Doran, send Pennington on a night out with Gorgeous and Black Betty. This initiative saved the team’s dynamics. Lauren, however, was contacted by Lord Defile, who proved he could easily give her her powers back. She started faltering and providing information to the Daemonite. This led to the invasion of Precinct 18, the police station hosting StormWatch PHD. To everyone’s surprise, StormWatch and the cops prevailed during that confrontation, even though it was particularly brutal. 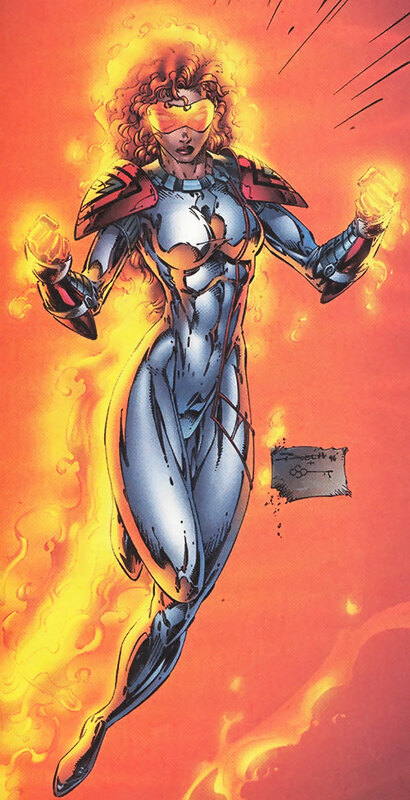 Fahrenheit almost fully regained her powers during the crisis. Crushed by guilt, Lauren confessed to her superiors (Jackson King and John Doran) and asked for punishment. King told her it wasn’t her fault if she had been mind-controled by a powerful mentalist such as Defile, and sent her on her way. It was, of course, a complete lie. Lauren had actually betrayed the team during her depressive episode on her own free will. But she was all too eager to accept King’s fabrication. What King wanted was to keep her and the team, which had just proved its worth, running. However, he did tell Doran that he had lied, and why. Another wedge was later driven in after Void showed Doran the future of the WildStorm Earth. Officer Doran then revealed what he knew to the humans on the team. Back into the club ? As soon as Lauren regained her powers, her social life with her StormWatch colleagues magically reappeared. That included her issues with her ex, Hellfire. The two of them were berated by King for their jejune behaviour, however, and ordered to put an end to this. It is quite possible Lauren will eventually switch back to StormWatch Prime. But this remains unrevealed as of this writing. After she regained her powers she started wearing her most memorable StormWatch Red costume again – the silvery-white one with the red, triangular shoulder plates. When wearing civilian clothing, Lauren favoured comfortable pull-overs and jeans, and likes to wear a brown cowgirl hat. She now wears her hair shorter and favors trendier, more flattering clothes. 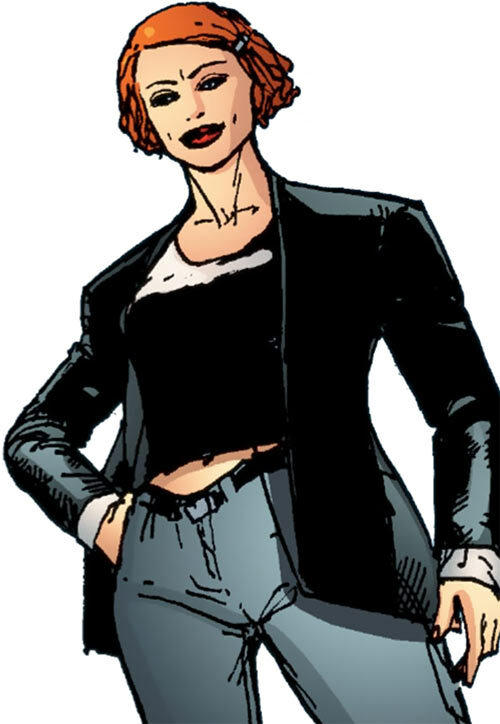 As a StormWatch PHD agent, Lauren is a disciplined operative. However, she has been through a lot with the loss of her friends and her powers, and is struggling through those issues. She hit actual depression at one point, but King’s lie helped her bounce back once she recovered her powers. Lauren now acts in a more aggressive, soldier-like fashion than before. She has no problems with triggering any kind of confrontation whenever she feels it necessary. Which is often. Security Clearance (UN, Low, NYPD (Low)). MIA (attractive, rugged-looking guys), MIF (Aliens-like creatures), Uncertainty, Misc. : Although it does not show much, Lauren is clinically depressed by the loss of her powers. Compact Flamethrower [BODY 04, Flame project: 07, Range: 02, Limitation: Flame Project has No Range, use the listed Range instead, R#03]. Chemical Attack has No Range. Energy absorption is limited to flames. StormWatchPHD (Low), StormWatch (Low), Winter (Low). MIA (attractive, rugged-looking guys), MIF (Aliens-like creatures). Initially, Lauren’s powers were only back “at half-strength” (which I guess would mean 09 APs of Flame project, and 08 APs of Flight and Pyrotechnics) and she lost her fine control. However, she likely started Recovering her full APs over the following weeks.